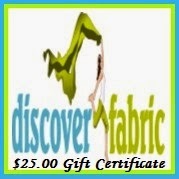 And the Terrific Tuesday Giveaway is for a $25.00 Gift Certificate to Discover Fabric!!! One lucky reader is going to get a Christmas Shopping Spree!!! 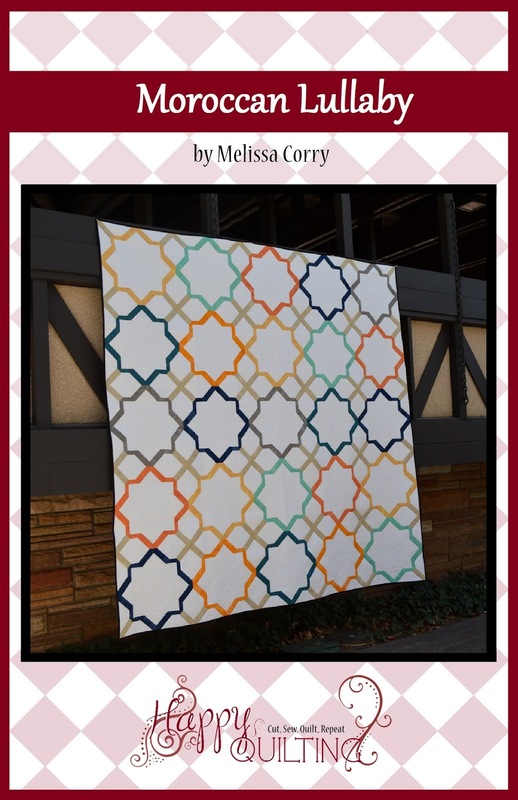 ENTRY 2 - Show your Discover Fabric love. You can follow them on Facebook, Twitter, or Pinterest. You can Sign up for the Discover Fabric Newsletter (middle of the page) , or you can Visit the Shop and then share a favorite item ;) Just be sure to leave a comment of how you showed your Discover Fabric Love!!! 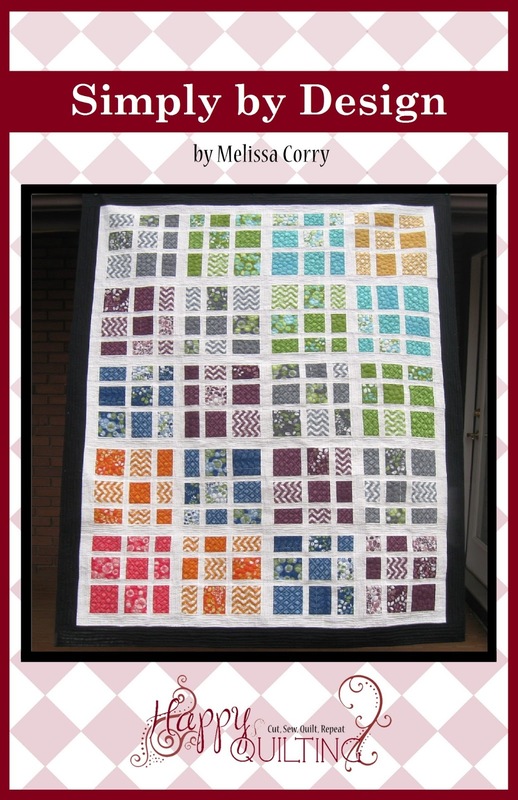 This year o got more comfortable with fmq. Not a discovery per se, but it's true! I love the Balloon Ride In Blue fabric. And it's on sale! this year i did lots of gifts with zips, who knew it could be so easy. i follow discovery fabrics on facebook. I have to add my thank you to this post! Looks like I really did get what I wanted for Christmas! Thank you so much for these giveaways! Tuesdays are becoming my favorite day! Thank you, Melissa! I actually quilted my first quilt. I'd made tops before, but this was the first time doing my own quilting. 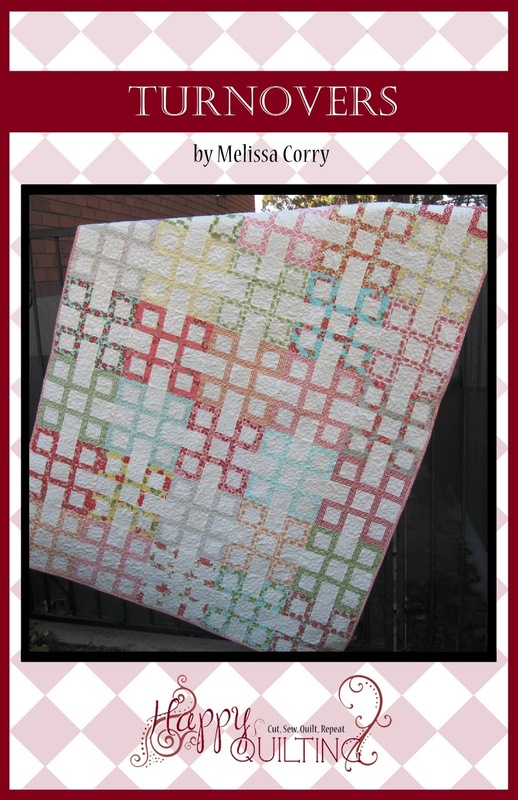 I started free motion quilting this year! I did a QAYG bag this year and really loved the process and the finished product. 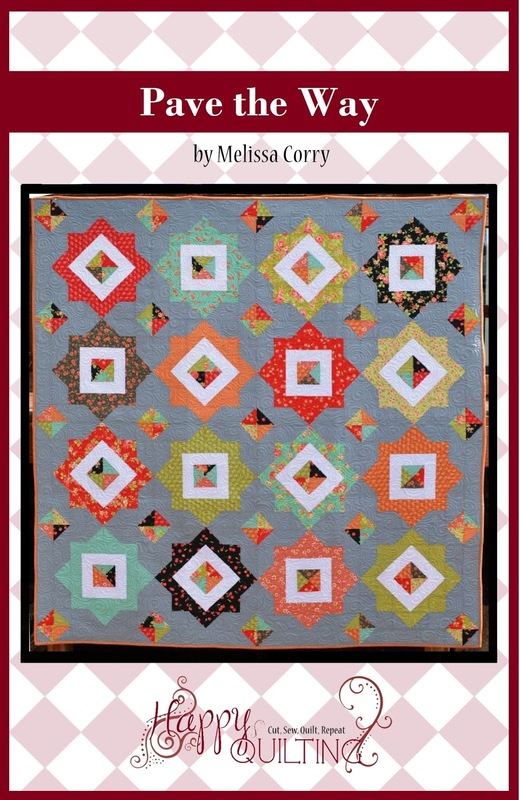 I really like the Riley Blake Boy Crazy Main Orange fabric in the sale section - I want to make my son an "I spy" quilt after the holidays and that would be a fun backing for it! 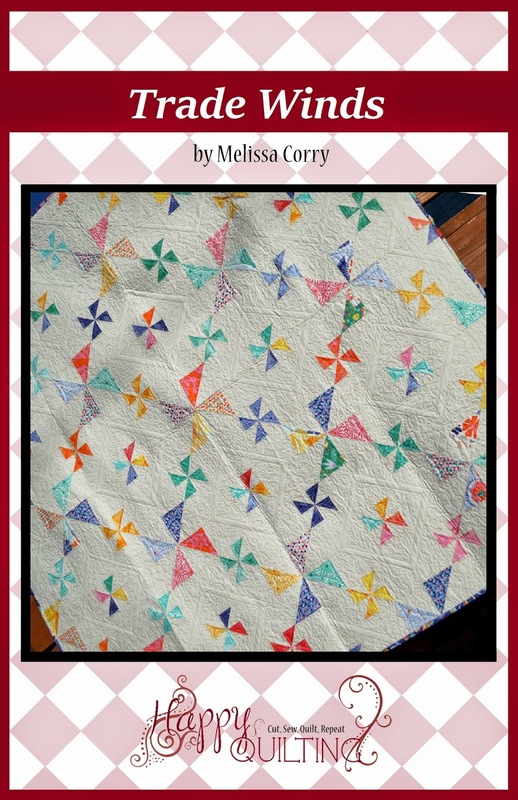 I learned to let go of quilt tops I'm not crazy about. A charity was happy to get them and quilted them for kids in need. I follow Discover Fabric on Facebook. I am a follower of Discover Fabric on FB. I made a QAYG quilt and I love the process. 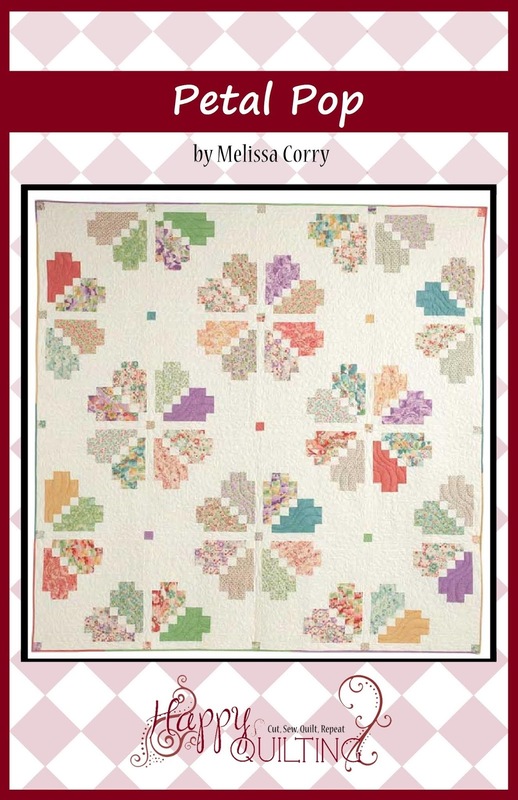 Although I'd been hearing about Craftsy from my quilting friends, I never tried a class until this year. Now I'm enrolled in eight. I joined The Quilt Show and am trying to find time to finish up their BOM. Maybe after the Bonnie Hunter Mystery...sometime in 2015. I discovered you have to be reeeeallly careful handling and working with diamond shapes! This year I did my first project with hexagons. My new quilting thing this year is....quilting. I am just now learning to quilt and I am loving it! my new quilting thing this year is english paper piecing. I get Discover Fabric newsletter. Since this is my first year everything is new! However I have discovered that the "quilting" part is my favourite and am having so much fun trying everything. Thanks for all that you share! Well, I just got my first ever sewing machine this year (October) so everything is new to me. 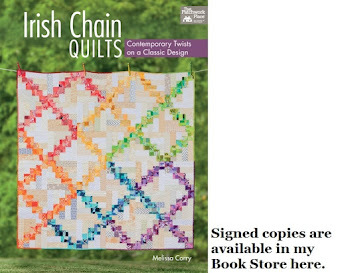 I've tried making potholders, scarves, and have a few blankets & quilts planned. Fingers crossed! 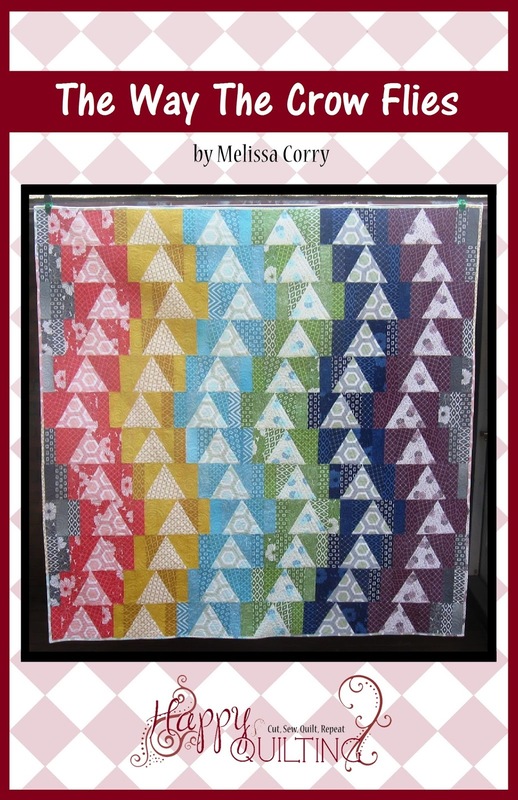 This year I tried paper piecing by following along with a block of the Month. By the ninth month, I could proudly say I could paper piece. Thanks! I've been trying machine appliqué. I'm following Discover Fabrics on Pinterest! I discovered that I love to sew using my 1/4" foot with metal guide. I previously used a 1/4" foot but was all plastic - I didn't like that one. 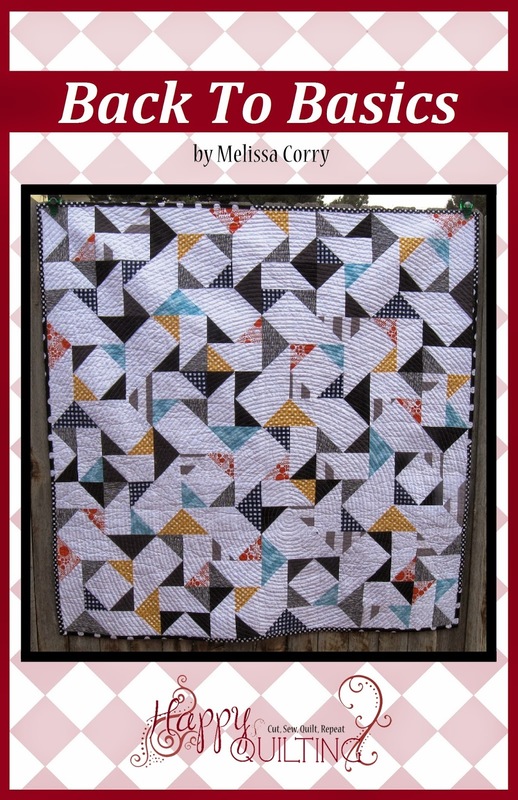 This year I did a quilt almost entirely made of half-square triangles! That was a first for me. 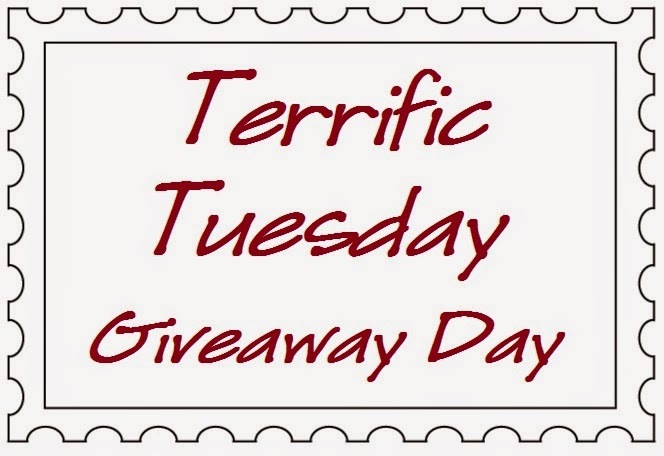 I like Discover Fabric on FB - great giveaway! Besides starting my first quilt, I became more comfortable with a new sewing machine. I learned that sewing blocks with kids is hard, but rewarding if we can just get started. I'm a new sewer and made my first quilt this year! I tried free motion designs besides just stippling. Swirls and wavy lines are some of my current favorites. Next year I plan to learn more. 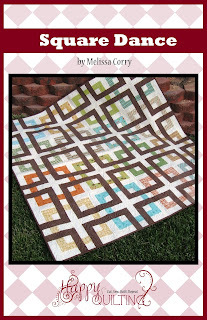 I like the Cookies and Cocoa flannel FQ bundle on Discover fabrics! So cute. 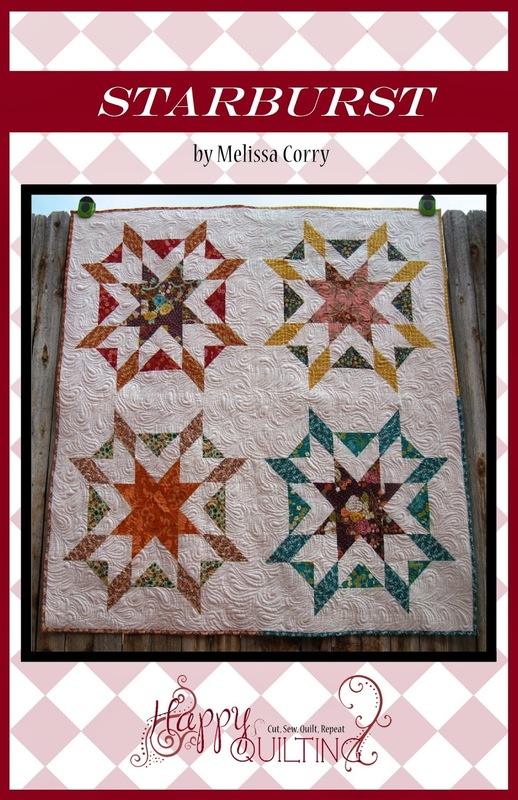 Would make a nice rag quilt for a little one. I love the Woodwinked By Dear Stella fabrics! I did my first eye-spy baby quilt! I love their sale section! I tried applique - both needle-turn and fusible. I'm sticking with fusible applique! In the sale shop is some fun hot air balloon fabric as well as the super cute Boy Crazy line by Riley Blake. What's super is that you can order a swatch of the fabric, which for some projects is critical because you may not have seen the fabric in person and need to know if it matches. I follow discover fabric on facebook. Love their logo! 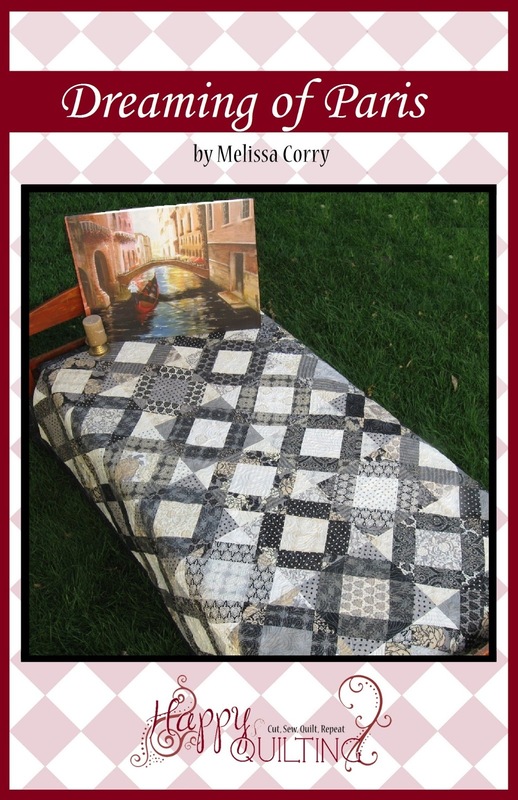 This year I learned how to gluebaste binding - it has made a BIG difference in my quilts! I pieced curves. It was terrifying. MERRY CHRISTMAS! I've slowly slowly learned that I can do decent looking FMQing too! I visited their shop! I like their precuts and bundles section! This year I "discovered" a quilt frame (sans stand) on my front stoop from a lady I had met at the farmer's market. It was real treat, and a fun discovery! I used a Go cutter for the first time. Love, love, love. Thanks for the giveaway. I like Discover Fabric on FB. Thanks for the giveaway. Here's an interesting discovery I made today at work... using the office paper rotary trimmer to cut fabric and I made this discovery because I forgot my fabric rotary cutter at home and I like to work on quilting projects during my lunch break and coffee breaks!! Some quilting friends and I discovered a wonderful Bed and Breakfast for quilters located in Vancouver, WA. We sew while the owner cooks all our meals and provides snacks. It's heaven! I follow Discover Fabrics on FB. I discovered the Scant Quarter Inch setting on my Viking sewing machine! It is amazing!! I got a new to me longarm machine and I am enjoying discovering how to use it! I found inspiration on Instagram! I discovered how to machine bind my quilts, I feel it is stronger for repeated washings and it sure is faster! I visited Discover fabrics and love Balloon ride in blue! I found out that I like to quilt my quilts in small section and join them later. Much better than trying to work with a full quilt on my small machine! ;) thanks for the chance!! I actually discovered 2 things this year. Paper piecing and EQ7. I am in love with paper piecing!!! I tried Susie's Magic Binding for the first time and I love it! Thanks for the chance. The cocoa and cookies line is adorable! This year I purchased an embroidery machine and discovered that I love it! I discovered more organic fabric than ever this year. I've been trying to only buy organic for about the last 7 years, and only within the last couple of years has it become easier to do. This has been my year of practice of FMQ. I have to say I have come along way!!!!! I follow them on FB. I tried a new Long Arm quilter and was quite happy with her work! Thanks for the giveaway. I like discover Fabric's Cloud 9 selection. I found Frixion pens this year, and I love them! I discovered I can actually use a normal machine to quilt my quilts. Thanks for the giveaway. I follow Discover Fabric on FB. I follow you by e-mail. 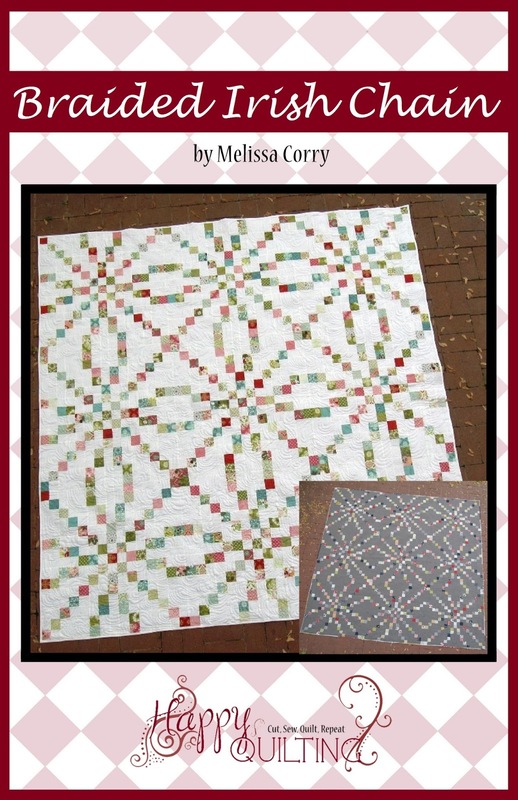 I enjoyed a Shortcut Binding tool from Franklin Quilt Company. It was great! I joined my very first round robin this year so that was my quilting discovery. this year I discovered that mitered bindings weren't as hard as I'd always imagined! 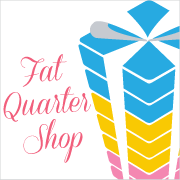 I am a new quilter and found the add-a-quarter ruler. 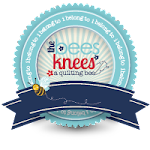 It's been so much fun to (re)discover how varied the responses can be when quilters from all over are given the same challenge! It just goes to show what a wonderful variety of quilters there are. I didn't try anything new, but I discovered how to miter the binding when sewing it on. Once I discovered the trick, it became second nature. Thanks! Please click on the delaineelliott above for my emal link. Thank you Melissa for the memories, I can appreciate the new skill(s) I've attained and your inspiration always gets me moving on to more difficult ones. I like that! I've signed up for Discover Fabric Newsletter. And I love the Winter Frost fabrics at Discover Fabrics. I love Discover Fabric's collection of Christmas fabrics. Thanks! I learned to hand bind a lot faster :). Joined a Bee group and tried at least 10 patterns I'd not done before. Thanks. I am quilting my first large quilt with a wood grain design. 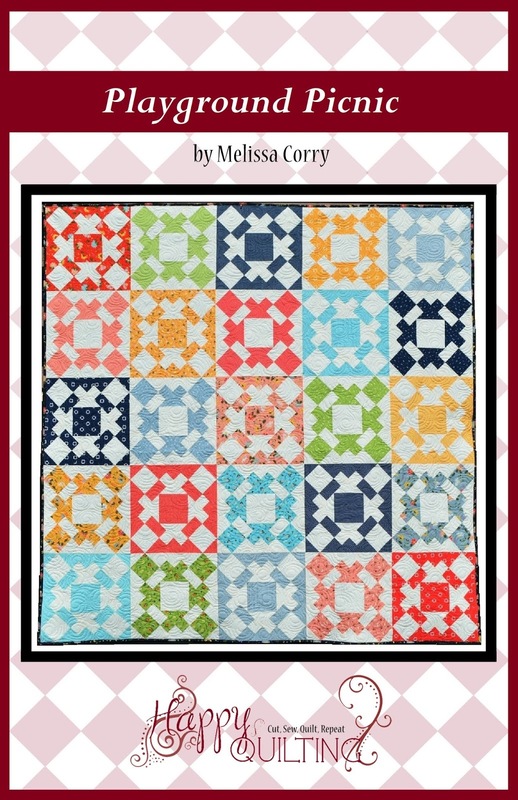 I am getting more comfortable with FMQ. I have only been quilting since this time last year and have stuck to straight line quilting, but a few months ago I tried FMQ on my domestic machine and I love it! 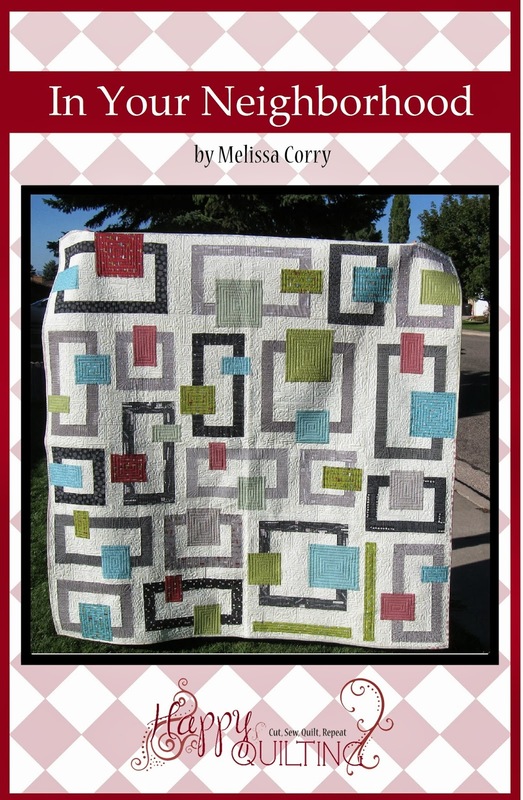 I have now FMQ two quilts. I don't know if I've learned anything this year (though I'm sure I have). I'm just really looking forward a Patchwork City BOM. I'm challenging myself to take my time and really think about the placement of the different fabrics, like Elizabeth Hartman describes doing in the intro to her book. I liked Discover Fabric on Facebook. I visited Discover Fabric and I really like the smaller fat quarter bundles. Paper piecing!! I really embraced it and used it a number of times! I bought my first walking foot and am almost done my first Rag Quilt. Discovery? New gadgets like Clover Wonder Clips and Nancy Zieman Seams Right. And, as always, fabrics! 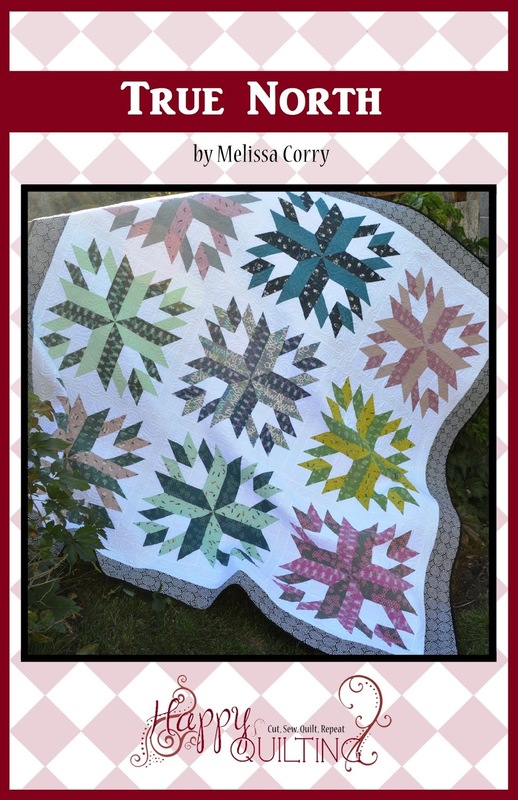 My focus for years has been custom FMQ on my longarm, so this year I actually made some quilted things with my own piecing design! I have not designed a pieced pattern before so it was really cool that it turned out just like I thought/hoped it would!! 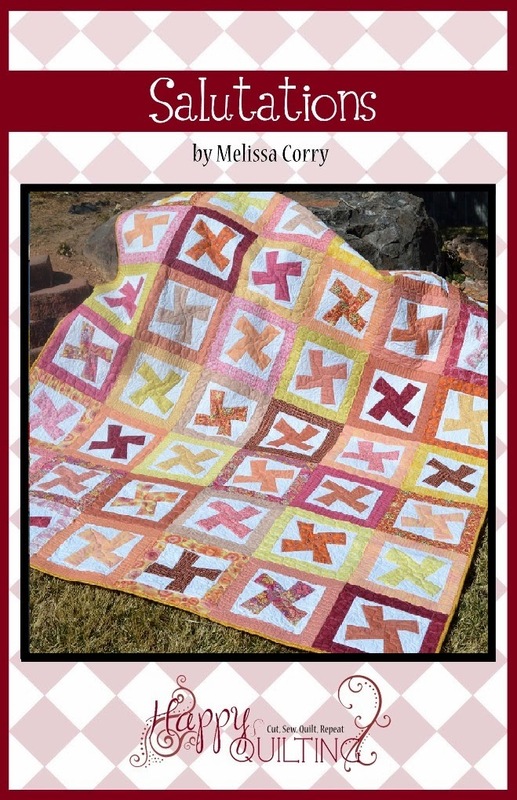 I follow Discover Fabric on twitter with @farmquilting. 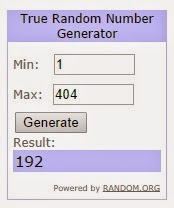 Thank you for the great giveaway!!! I discovered how fun spiral quilting is. For me it was FMQ and boy, do I need to practice a lot more. I discovered quilting with an even feed foot! Thanks for the giveaway. 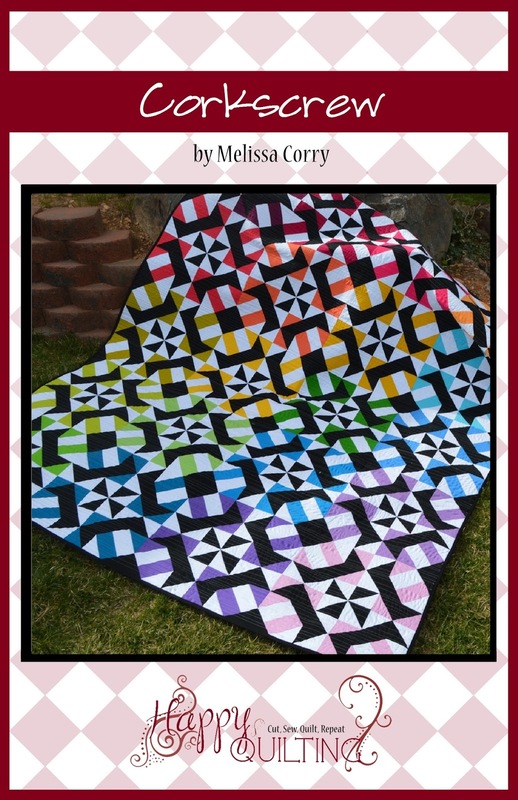 The Fabric Traditions Rainbow Quilting Calico Print caught my eye! I also signed up for the shop newsletter. This year I quilted my first quilt using my walking foot and I had a first go at FMQ. I just got done "trying" out the circuit board fmq on a lap quilt for Christmas. I've got it down pat now! I discovered I'm not a big fan of paper piecing! However I did discover that I like free motion quilting...just not too good at it! I signed up for Discover Fabric's newsletter. Thank you for the opportunity! I discovered how spray starch and my Eleanor Burns Stiletto really help with precise piecing!!! Thank you!! Hi! I visited Discover Fabric and that have a great selection of children's prints!! Thanks again!!! I learned & made a string quilt, foundation piecing. I visited Discover & signed up for the newsletter . Just visited Discover's website and signed up for their newsletter - they have a nice selection of fabrics and good sale items. I love their holiday fabrics!! 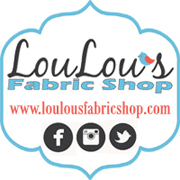 Great fabric store! thanks! I did learn to do paper piecing this year! thanks! 2014 - I registered and attended my first all-day workshop with a group of women each making the same project - so so so far outside my comfort zone, but it was fun and wonderful and I was able to finish the project [although not that same day]. Enjoyed a lot of support. I drafted my own paper piecing pattern. I purchased an embroidery program and have been learning how to use it.. I did some FMQ feathers. I discovered spray starching my fabric before cutting! Wow! I am not sure I would say I discovered anything, but I am trying to keep my fabrics sorted--especially scraps and cutting the scraps into ready to use strips or squares like Bonnie Hunter does. We discovered Cottage Garden threads - they are lovely to use. I like the Winter Frost fabric at Discover Fabric. I have been discovering all the great things I can do with my new Pfaff sewing machine. Such Fun ! Love that "Whoo Me" and "You Whoo" fabric collections at Discover Fabric. I discovered all the quilty inspiration on Instagram this year! I discovered that I really need a better system for using scraps-they're taking over! I tried to do hand sewing hexies together! Quite addictive. I discovered using a silver gel pen for marking dark fabrics! Works like a gem! I tried a new star pattern in quilting and have not got it mastered yet. I follow Discover Fabric on Facebook. Thanks for another great giveaway opportunity! I tried many new quilting things this year, but the one that stands out is quilting (straight-line quilting) my first large quilt on my home machine. I learned a lot about what (not) to do. I discovered Machinger's gloves, and I LOVE THEM. Got some for my birthday! How did I ever do without them? Goodbye gardening gloves. This year, I finally gave in to my deep desire (and fear) of free-motion quilting. I still need practice, but am getting better! 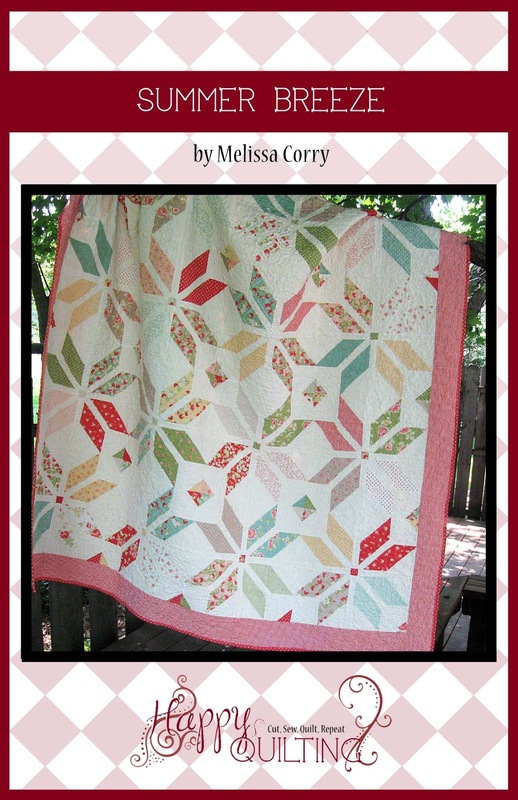 One item I really like on Discover Fabrics is My Sunshine By Zoe Pearn - Riley Blake Designs. It is very close to what I am looking for! I signed up for the Discover Fabrics newsletter. I tried a Celtic quilt design for the first time this year. Interesting process!! This year I finally sewed in zippers. It wasn't as bad as I thought. I already like Discover Fabric on FB. I have discovered I have too much brown in my stash and need new fabric. I also discovered I enjoy following BOM because I have a set time to finish something and then end up with a great quilt. I checked out Discover Fabric and love the Cocoa and Cookies especially the 3 with snowmen. I tried out the double wedding ring pattern -- just made one circle, but it was very satisfying. 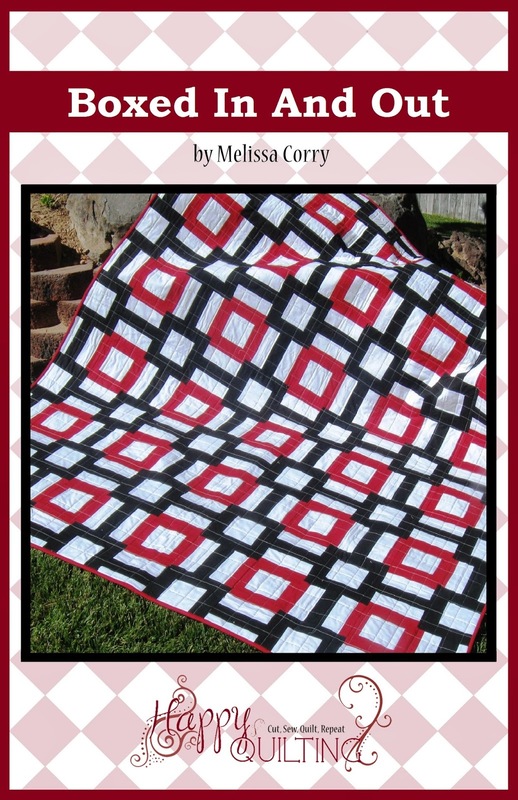 I'm excited to do a full quilt with the pattern sometime in the near future. I finally gave Cover Wonder Clips a try and now I can't see on binding without them! Thanks for the chance to win! I actually figured out how to make a pouch! Yeah! I'm going to move on to bags in the next couple of months! Thanks for the giveaway! I tried applique - like lots of weird bits for a Dear Jane quilt! My wonderful husband helped me create a quilting studio a few months ago and we bought a Brother VQ2400 to upgrade my basic Singer. Since October I've made 3 quilts (2 bed-size) and 9 stockings so far for Christmas. I'm learning so much, but still am very much a newbie. I signed up for Discover Fabric's newsletter. I jumped on the mini quilt bandwagon! Yep, jumped right up there and went crazy! I tried my hand at foundation piecing and found I like it very much! So many darling patterns out there to try! I found Silicanized Thread and Hiroshima needles, love both of these. 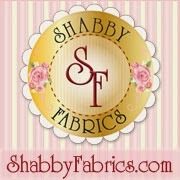 I added Discover Fabrics to my FB follower list. Just starting to learn paper piecing when I got sick. I plan to pick it back up next month. 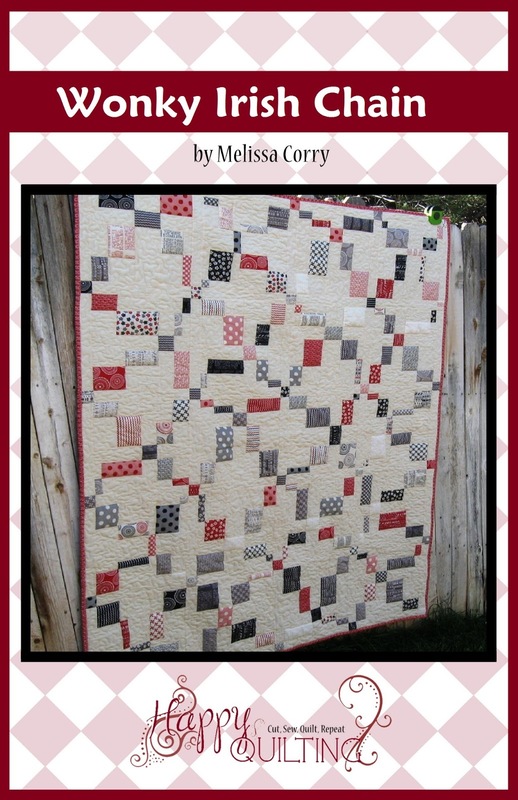 I learnt to quilt as you go so you can do the quilting and piecing all in one step. I have also learnt to use EQ7 -so much fun. I visited the shop and love Evening Blooms in black, white and yellow. Didn't see pink or aqua but that would be lovely too. This year I discovered that cot quilts are a fast and easy project on which to practice new techniques. Thanks for the giveaway. This past year I really did a lot of fmq on my Janome. I think I've mastered the basics and now looking forward to some fancier quilting! The Top is Finished . . . It's time to Quilt!! 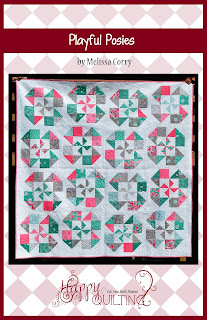 Vintage Vibe Blog Tour - Twirl!! !